On the Orchestration canvas editor, you can add calls to other deployment orchestrations (deployment models), making the call either synchronously or asynchronously. This is called a linked deployment. If the call is made synchronously, the task flow on the target server(s) will be halted until the linked deployment, running on another set of servers, is completed. Only then will task flow execution resume. The Linked deployment here is shown as the blue oval 'Call Script Orchestration', with the details of the call in the edit task box to the right of the canvas. Navigate to your project: ‘Resources’ -> ‘Projects’ -> [PROJECT]. 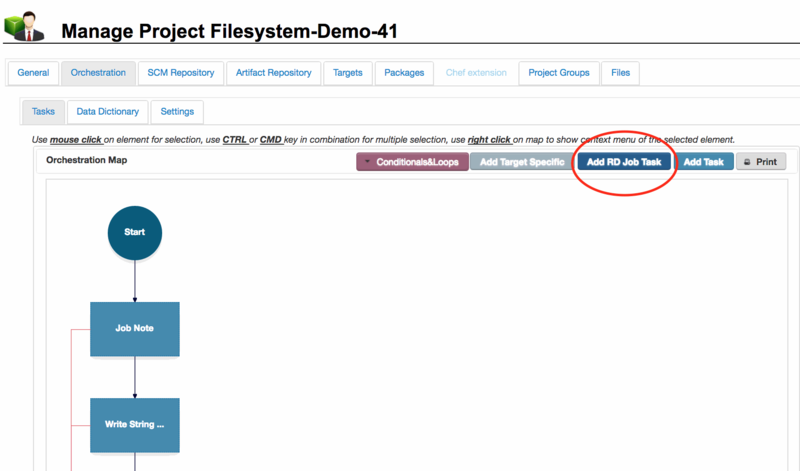 Select and highlight the task immediately before the point where you want to call the linked deployment. On the Orchestration panel, click the blue ‘Add RD Job Task’ button at the top right of the canvas. Navigate to your project orchestration: ‘Resources’ -> ‘Projects’ -> [PROJECT] -> ‘Orchestration’ Tab. Select the ‘Run a Linked Job‘ task you just added. projectName: Enter the name of the project which contains the model you want to run. serverName: Enter the name of the server where this linked deployment will run. Since this is likely to change for each target where this model runs, this will probably be a data dictionary value. environmentName: Enter the name of the environment where this linked deployment will run. Since this is likely to change for each target where this model runs, this will probably be a data dictionary value. packageName: Enter the package name (version) to run/ Leave blank to deploy the latest version. 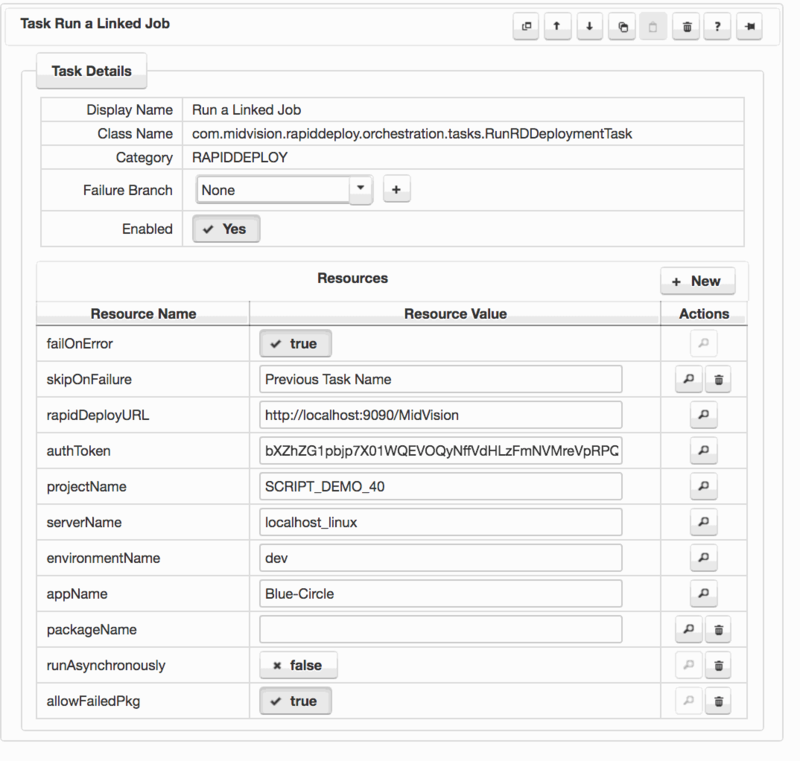 runAsynchronously: Run this linked job synchronously or asynchronously. If run synchronously, this job will wait at this point for the sub-orchestration to complete.